International Pole Star, Steven Retchless was born and raised in Las Vegas, Nevada and best known for his appearance as a Semi Finalist on NBC's America's Got Talent, Season 6. Steven has competed in American Pole Fitness Championships, Pole Art, Aerial Pole International, International Pole Championships and Pole Theatre USA. He was a cover model for Pole Spin Magazine, Vertical Magazine and featured on online celebrity blogs PerezHilton.com, People.com and Gawker.com. A proud representative for Mighty Grip, XPole USA and Badkitty. Guest performance artist and Instructor for International Pole Convention and Las Vegas Pole Expo as well as an AERA Aerial Dance Company member. He has 20 years dance training and performance experience in Jazz, Ballet, Modern, Street Styles, Contemporary, Heels, Yoga, Fitness and Acro. He is the creator of Steven Retchless ONE Pole Retreat Costa Rica an International Pole Camp. As an International Pole Movement Pioneer and Instructor of Pole Technique World Wide he also is a resident instructor at Body and Pole NYC. 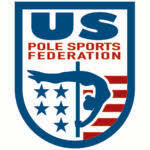 An honored guest Judge in multiple International Pole Competitions specializing in the Artistry Category. Attended the Las Vegas Academy of Performing Arts and the California Institute of the Arts. As of 2016 Steven continues to travel, teach, perform and compete in Pole Events around the Globe.